The following has been written by Richard Kramer, Deputy CEO of Sense, the national disability charity. These words were spoken by Mark, who cares for his disabled daughter, who has complex needs. Mark lives with the fear and worry that his daughter’s care and support needs are so complex, and that his local social services are under such pressures, that should he not be able to support his daughter, then no one would. He is not alone. We know that as carers of disabled adults become older, their caring role becomes harder. It is a common experience for the families we support to worry about ‘what will happen to my loved one when I’m gone?’ A new report published today by Sense highlights the challenges faced by families with long-term caring responsibilities. Over two thirds of families caring for disabled adults with complex needs live in fear of what will happen to their loved one when they are no longer able to provide support. Data we collected showed that only 1 in 4 councils are able to support disabled people and their carers to make contingency plans for the future. More worringly, we don’t know the full picture as local authorities aren’t under any obligation to collect figures for numbers of people living at home with their families – indeed only 1 in 3 local authorities know how many people live with families at home in their area. We believe that after a lifetime of caring, no one should be left forgotten about and need support now. Unfortunately, the current oversubscribed and underfunded system is not able to offer the high-quality, tailored support that they need. This goes some way to explain why 95% of carers we surveyed had little to no trust in local authorities to provide adequate support to their loved one. Planning for the future, and thinking about who will care for your loved one when you cannot is a daunting prospect. Councils are struggling to provide the support to make these plans which can give carers the peace of mind they deserve. 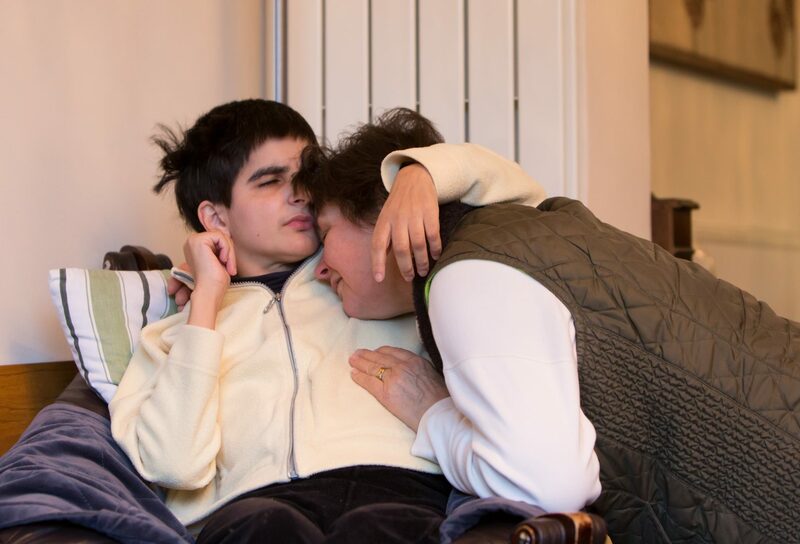 As such it should not surprise us that 75% of families caring for a disabled loved one have not put a long-term plan in place for when they can no longer provide that care. Families told us that they would like regular input to help them plan for the future but at a pace and at times that work for them. We believe that there are some key steps that should be taken to address and effectively tackle this issue, and ensure that people with complex needs and their families can look to the future with a sense of security, rather than fear and anxiety. That is why alongside the report, Sense have also published a toolkit ‘Decisions to make: Steps to take’ aimed at helping disabled people and their families to make decisions about future care and support. We rely on families to be on the front line of care. We are under an obligation to resolve this now, so that families have peace of mind for the future.